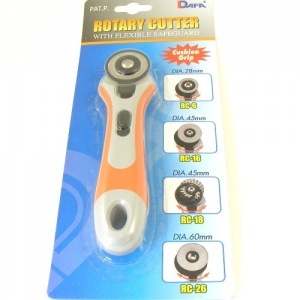 This is a high quality Dafa brand rotary cutter. 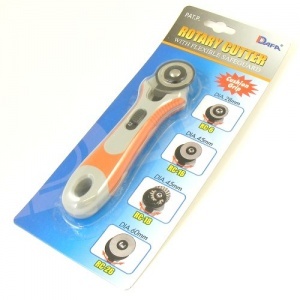 It has a sturdy, comfortable handle and a retractable blade which measures 28mm in diameter. This tool can be used equally well in your right or left hand. Rotary cutters are give a lovely clean cut on lightweight leathers, as well as fabric, card and paper, and give super straight edges when used with a metal ruler. 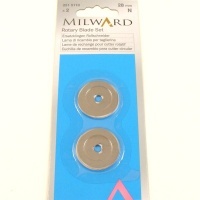 *This tool is compatible with Milward brand and Dafa brand 28mm replacement rotary blades.